The world lost a great man December 5, 2013 when Nelson Mandela passed. 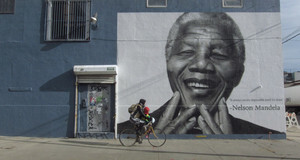 Although a somewhat controversial figure in his youth, his leadership of South Africa and his work in eliminating apartheid were inspired and inspiring. Watching the many celebrations of his life -and I imagine there are many more to come- moved me. But it was the evidence of his capacity for forgiveness that amazed and astounded me. And inspired me to write this post. Forgiveness is tough. Along with apologizing and asking forgiveness of those we have wronged, truly forgiving is probably one of the hardest things a person can do. We are told to forgive and forget. Is that realistic? I am not sure I really want to forget. I think I would prefer to feel the harm, and then learn from that experience and forgive anyway. I don’t want selective amnesia and I don’t recommend it for others. I suspect that forgetting making you more likely to make the same mistakes all over again. When a couple breaks up, there is most often pain and anger, hurt, recriminations and blame. If we are lucky, in time, there comes forgiveness, the acceptance of a new role and a renewed vision of your ex as an individual worthy of respect. This is particularly important when you have children together, but respect for your ex is of benefit even if you don’t. Someone once told me that the opposite of love is not hate, it is indifference. If you are really done with a person and a relationship, then you don’t hate them. You are indifferent to them. Or, in a best case scenario, you can interact with them in a respectful and honest fashion without anger or pain. Forgiveness is essential to being able to move on. You need to forgive yourself for your part in bringing about the end of the relationship. You need to forgive your ex the harms – real or imagined – done to you. You need to make peace with the fact that you are a divorced or separated person and accept that new identity and role. You need to consider the patterns and behaviours in which you engage which may have been harmful to your past relationship or impede future intimacy. Consider this: Nelson Mandela spent 27 years in prison. The man who put him there, Dr Percy Yutar, chief prosecutor, was seeking the death penalty. In 1995, Nelson invited Yutar to lunch and forgave him. A year earlier, in 1994, Mandela had his former prison guard as an honoured guest at his presidential inauguration ceremony. As Mandela said: Forgiveness liberates the soul, it removes fear. That’s why it’s such a powerful weapon. Many clients have told me that things their exes have done are unforgivable. What does that really mean? What is truly unforgiveable? What seems unforgiveable on the heels of the breakup might seem less significant and painful as time goes on. Think about that. Think about your position on forgiveness and rethink it every little while. Are you ready now to forgive something you might have held onto earlier? Surely your soul deserved liberation? Take a first step towards forgiveness today. You won’t regret it.